are 62# heads ram air heads? some people said 670,16,62 heads have the same flow...? The term "Ram Air head" is horribly abused in the Pontiac "world". Within the "builder" crowd, "Ram Air head" is reserved for ROUND-port, small chamber heads. That would be the '68 "Ram Air II", and '69 and '70 Ram Air IV engines. The large-chamber round ports would be "HO" or "SD" heads. The Ram Air V head is quite unique ("tunnel port") and VERY rare, not part of this discussion. With the advent of the "internet", many mythological changes have been "made" to the reality. Though the '69 and '70 366-horse 400s are labeled "Ram Air III", the heads used on them are standard production d-ports. Since the head castings were used on engines other than "Ram Air", the heads are not considered "Ram Air heads". The '69 engines had "48s" on them and the '70s had "12s". There MAY have been a few 366-horse versions in '69 with the "62s", but I've never found any evidence of that. Of course, those SELLING the heads will INSIST they ARE "Ram AIr". It significantly increases the value, at the expense of the uninformed. The two most common Ram Air head castings are the 722 ('69) and the 614 ('70). Maybe someone can "fill in" the casting number for the '68 Ram Air II engine. For "general applications, yes, 13 is the "auto trans" version. Not so with the 366-horse engines, though. EVERY '70 "Ram Air III" engine I've ever seen "untouched" had 12s, manual OR auto trans. I do have a set of bar number 12 sitting in the garage! you can make plenty of power with those. on the street, the cam is way more important. A good port or gasket match and bowl blending and valve job is good for more air flow to the heads also do the intake manifold. 79 Trans Am 400 auto Crower 60210 Torker II Holley 750 vac sec. #12 heads,3500 stall. And even the actual "Ram Air" (cold air induction effectively) wasn't really "Ram Air" until 90 mph+. It was from one of the "founding fathers" of the GTO, Mr. Wangers. Btw, what you're probably feeling is your particular cam, gearing or combo coming together at 70. Yeah, I as well was told that I was purchasing a set of ram air heads years ago, the 48s. At some point I remember as well someone mentioning what p body mentioned in that they were off of a manual 69 firebird with the raim air induction hood. Curious though...what would a ram air 1 have been?....they should have named the ram air 2 round ports ram air 1 and the ram air 4 head the ram air 2 and #5 the 3. Too many #s gettin dizzy. The origional Ram Air head, sometimes called Ram Air I, and the Ram Air III had D ports. The Ram Air II ('68-1/2 #96) and Ram Air IV ('69 #722 and '70 #614) had round ports along with the '71 and '72 HO and '73 and '74 Super Duty. There MAY have been a few 366-horse versions in '69 with the "62s", but I've never found any evidence of that. Well then, please allow me to provide the evidence. My early production 1969 GTO with the YS engine, of which I'm positive was the one it was born with (built new in late 1968 at the GM Plant in Arlington, Texas) had #62 heads on it. I still have them. Ram air 1 discussed as the #37, '68 400. By John Angeles n Pete mcarthy. 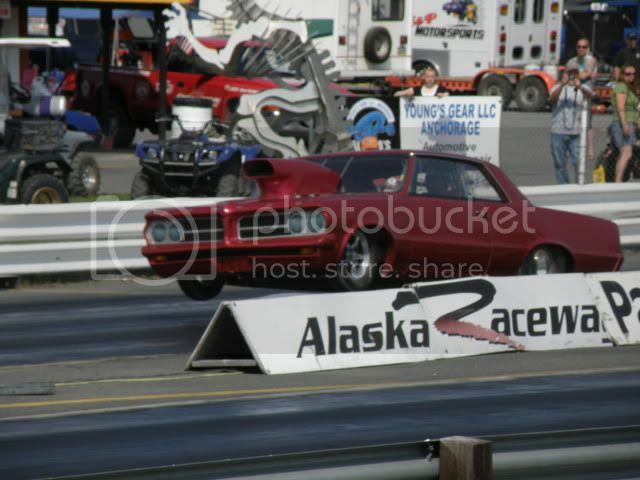 Hi, I have a Automatic 69 GTO 400 cu/in YS code with 62 heads thats runs good on 92 pump gas. From what I've read, since it ran with leaded gas, will I have problems with the engine using 92 octane gas? Pick the right cam and your 62s will blow you away with pump gas!!. From what I have read the RAIV was the scoops and the scoops that were underneath the front bumper was the real RAIV 4 points of ramming air into the motor not the heads or cam alone. Now the bottom scoops never made it in to production. This was to be on the GTO. To me this makes the most sense. Can't explain RAI, III or V. RAII would make sense as ram air on the hood scoops. Now I understand that the scoops has to be the best design for a true ram air effect. Honestly, cold air induction is about the only real benefit to most any ram air setup. What it makes you believe is that you're going fast so it's kind of turbo charging the motor with forced air. Fact is, if you were making more pressure into the carb than it was sucking, then there'd be different jetting, etc for ram air cars, because you'd have a slight boost going on. There'd be guys with ram air setups having detonation issues that non ram air guys wouldn't have with the same parts. With that being said, factory cold air induction is pretty sweet on the neat and cool factors. I think testing has shown that cowl induction is the best, but i'm not sure where i read that. The difference between no ram air, ram air, and cowl induction was like slim to none but was there a little. What's a good hydraulic cam with power yet streetable to go with the #62 heads? any opinion is greatly appreciated. Depends on rest of your combo and compreesion CID as well. jlS69gto, you asked: "What's a good hydraulic cam with power yet streetable to go with the #62 heads? any opinion is greatly appreciated." A dual pattern camshaft betwenn 220-224 degrees intake @ .050" and 112 LSA. This has good vac and good power from idle to 5200 rpm. So That means that all the Ram Air III GTO's and Judges like mine do not have Ram Air heads , and actually that is one of the options in the Judge? Yes, RAIII heads are D-Port smaller chamber heads like many others of the era. To me it was more of a performance package. I thought the D port 12, 13's, etc, had better port dimensions in the throat then low perf d ports? Please educate me. 1968 Ram Air 1 was #31. Not sure if the #31 heads came on any other Pontiac engines. 1969 Ram Air III heads were #48. The #48 heads were also used on the 350HO, with somewhat smaller chambers. 1970 Ram Air III heads were #12. The #12 heads also came on the standard GTO 400 engine with manual transmission. I am not aware of any other stock applications that used the #31, #48 or #12 heads, which are very similar to the standard production 4 barrel carburetor large valve heads, as #16, #62 and #13 - higher compression heads, the 1970 #64 87cc chamber 455 heads, as well as the lower compression 1971 #96 (400), #66 (455) and 1972 7K3 (400) and 7M5 (455) heads. #12, #13, #16, #31, #48, #62, the #64, and the #96 heads, (and even the #66 if milled say 0.065 to bring the chamber down from 112+ to about 94 ccs) are all great heads to work with. The 1972 heads alas lack the previous full set of exhaust manifold bolts. If the heads are to be ported, there is no reason to spend extra for #31, #48 or #12 heads, performance-wise, and any of these heads would benefit with replacing the exhaust manifolds with the appropriate "Ram Air" large exhaust manifolds, which probably should have been standard equipment on all of Pontiac's V-8 for improved efficiency, though surely with more cases of starter motor heat soak. Yes, the only Pontiac heads that were absolutely exclusive to the "Ram Air" engines were the round exhaust port, smaller open chamber heads, starting with the 1968 1/2 #96 Ram Air II, the 1969 #722 Ram Air IV, and the 1970 #614 Ram Air IV. The Ram Air 1 and III are roughly the same thing. What happened was that Pontiac came up with the Ram Air IV designation for 1969 in reference to a proposed air induction system with 4 entryways, hence not using the Ram Air II designation (perhaps also because the Ram Air IV improved the intake port and switched to the aluminum intake with separate iron crossover). So the d-port engine sold as a Ram Air engine (as marked by the cold air intake and the better exhaust manifolds) became called the Ram Air III. When Pontiac lowered the compression ratios for 1971 (weirdly all the way down from a low to mid 10 to 1 to low 8 to 1 rather than say 9 to 1), they also foolishly eliminated the better exhaust manifolds from the 400, further reducing efficiency. 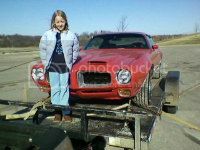 My 69 Firebird 400/4spd came from the factory with 62 heads. Just a plain 400/330 non ram air engine. I have seen both 48s and 62s on similar 69 Birds leading me to believe that Pontiac may have used whatever comparable heads they had in the plant. This was common back in the day, since they would do almost anything to avoid "inventory related downtime". I have a question for those who may be in the know. I have a 69 Firebird 400 with a 4-speed. It has 62 heads. I have read differing information on various sites about the head numbers. Some say 62 heads were only for 400s with automatic transmissions and 48 heads reserved for manual transmissions. But others say 62s could be used on either. Anyone have an answer? Totally agree. It's a miracle some of the Pontiacs didn't end up with Chevy heads on them (LOL), given the production problems inherent in building a product with thousands of parts. I have seen 69 Birds (400s) with either 48s or 62s although all the 350 HOs seem to have 48s. Go figure.